I was recently treated to a campfire chat with The Good Dinosaur Director Peter Sohn, Producer Denise Ream, Supervising Technical Director Sanjay Bakshi and Sharon Calahan who was in charge of Lighting. We all sat and chatted like a group of old friends talking about their most recent adventure. A chat filled with amazing exciting stories and slide show. A reception like only Pixar could hold, complete with a singing cowboy! There were plenty of treats from campfire chili, and corn bread, to s'mores and ice cream and cookies. When you make a Pixar movie, there is more that goes into it than you could ever imagine. From the initial brainstorming, drawing, modeling writing and eventual digital animation. That seems like a lot right? Well there is much more than just that, the great folks at Pixar want to make sure they are giving you the right look for their most recent film The Good Dinosaur, that a few of them took a trip out to the Midwest to experience life on the land to really get the feel of how things would look and should look for The Good Dinosaur . A research trip for a digital cartoon? Yes! They take their work seriously and want the film to look as realistic as possible. The group visited the Great Teton’s, Colorado, and Oregon. The group wanted to get the real feel how it would be like to be out in the mountains all alone like Arlo was in The Good Dinosaur. Interesting fact, the two lady guides they had on the trip were rough and tough real cowgirls. They only had a horse, a dog and a gun living own their own in Colorado. The T-rex in the movie The Good Dinosaur is named Ramsey and she was inspired by this cowgirl. Producer Denise Ream felt that “Films … from Pixar feel so rich and authentic and that was something that was really important to us. So taking pictures of the most minute details.” The group took hundreds and hundreds of pictures to be able to compare drawings, and great a real look for the landscapes in the film. Denise Ream “even a dinosaur is going to feel tiny out here which was overwhelming” Visiting and taking photos seem to be all you need.. right? No, you have to go even further! To capture the feel of the water in the area, the team went rafting! The water was so rough that some fell out of the boat (I would have been scared to death!) and they even lost their Go Pro! It took its own adventure down the river, but they did eventually find it! When you see The Good Dinosaur you will be amazed with the landscape in the film, the folks at Pixar have outdone themselves. The look of the water is spectacular, it looks so real, everything about it just screams a real video not a digital cartoon. According to Peter Sohn, Sharon helped capture the magic of the water scenes. “Sharon Callahan paints, it’s every color of the rainbow on the river, she understands the science why the footage looks the way it does is because of Sharon's understanding of what refraction's can do and how light bounces off. Just to understand that science of it and the beauty of it is amazing." 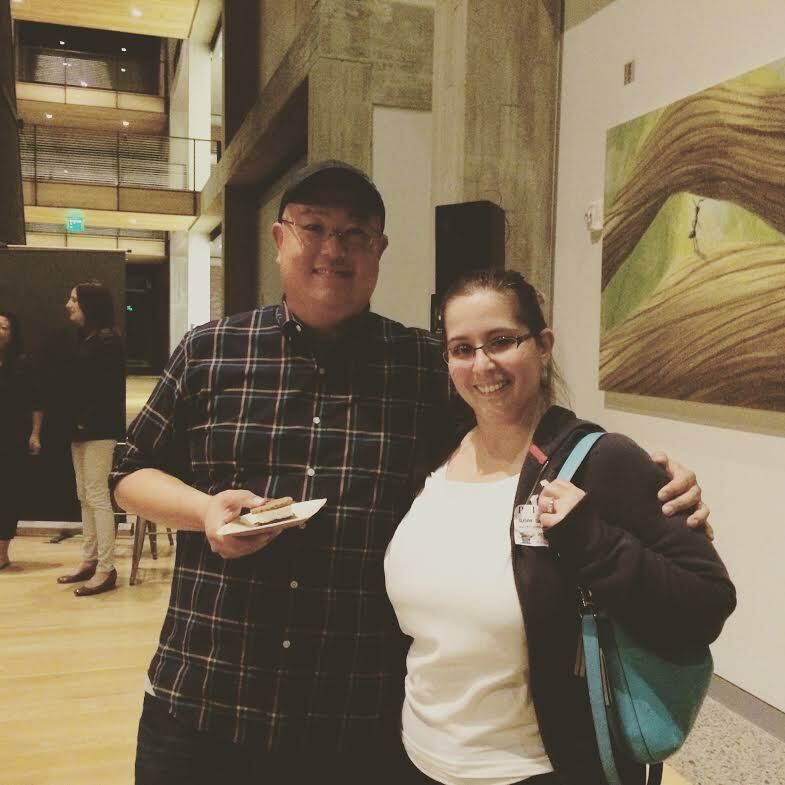 Here is a picture of myself and Peter Sohn, I texted this picture to my husband and he replied back, holy cow you met Russel! I wrote, back and said no his name is Peter! He wrote back to me that Peter was the physical model of Russel from Up! Russel is my husbands favorite Pixar character. After meeting with these guys, I really have a new appreciation a the extreme attention to detail Pixar strives for. I cannot wait to take my family to go see The Good Dinosaur, I loved the 30-40 minute preview I got to see on this trip, I laughed I cried and was in awe.. 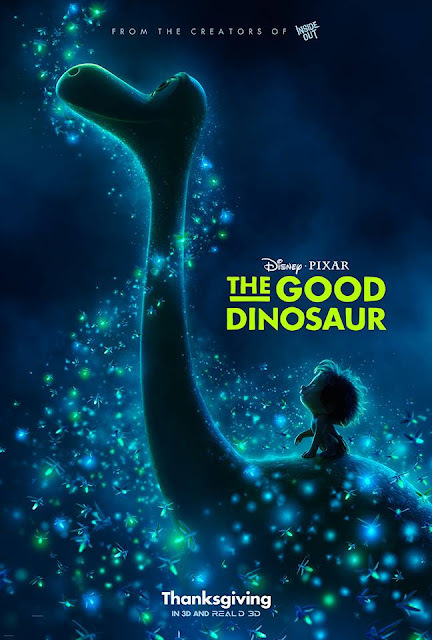 I am looking forward to sharing this wonder with my family when The Good Dinosaur hits theaters on November 25th 2015. My kids are so excited about this movie. It looks so cute. I will be watching this with my kids when it comes out. My daughter is a big dino buff! My kids are so excited to see this new movie!! The food looks amazing, and what a trip of a lifetime to get to go on. That must have been quite the experience. Disney and Pixar truly make some of the best movies. This one should be epic and I can't wait! The Good Dinosaur looks like such an adorable movie and is definitely a must see. Now deciding which campfire treats to choose would be a much more difficult decision. I'm from the Grand Teton area, so I absolutely love that they visited to get inspiration for some of the landscape! That is awesome! I can't wait to see this movie! Wow that is so cool you got up close and personal. My kids are so excited about the movies. 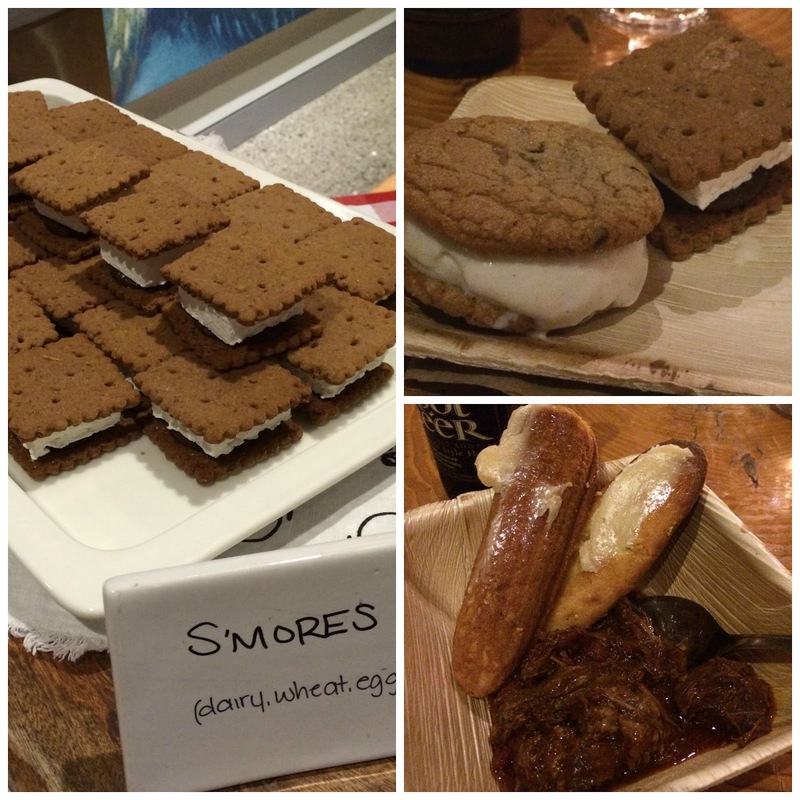 Oh yeah and the s'mores look so good!!! Wow! It's amazing at everything that goes into making a movie. This movie looks like it's going to be so cute, too. Aren't you lucky that you got an all expense paid trip to review this really fun Disney movie. So glad to see you had a great time. That sounds like you had a great time! My kids are so excited to watch this movie! Looks like a lot of fun. My kids want to see this movie too. This looks so awesome! I am excited to watch this movie with my entire family! What a fu experience for you! We cannot wait for the Good Dinosaur to hit theaters! What a unique experience! We're really looking forward to this movie. My grandsons are going to love it!